On June 30, 1918 the 26th Division entrained once again at Toul for a secret move westward, ending at Noisy-le-Sec outside Paris. The troops were then moved by trucks and motor buses to Meaux and Trilport on the Marne River, where by July 2 they were billeted in the area of Tancrou-Germigny, Mareuil-les-Meaux, Quincy and Villemareuil-Changis. Division HQ was opened in Nanteuil-les-Meaux. The 103rd Regimental HQ initially marched from Meaux to Saacy before moving on to Montreuil-aux-Lions. 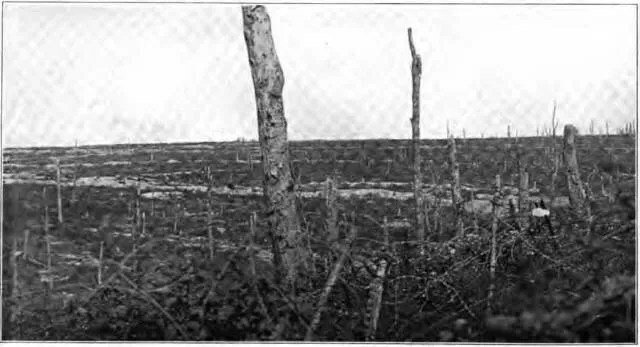 By July 4, the entire Division moved up to the front in the area also known as the Pas Fini Sector (“Unfinished Sector”), where the 52nd Infantry Brigade (including the 103rd Infantry Regiment) relieved the U.S. Marine Brigade from the area of Belleau Wood and Torcy as far to the northwest as Bussiares on the left side of the line. The relief was completed on July 9 following delays due to defensive preparations for an expected German attack. Regimental HQ for the 103rd Infantry was set up at La Voie du Chatel on July 12, 52nd Brigade HQ was established at La Loge Farm, and the 26th Division HQ was moved up to Chamigny. There were no trenches in the area of the front, little wire and no shelters (dugouts). Rather, defenses were designed for open warfare and consisted of shallow fox-holes covered with brush, positioned to provide mutually supporting fire along with numerous machine gun positions. The outpost line and principal resistance line were separated by a 1,000 yard artillery barrage zone designed to break up any attack that overran the outposts. 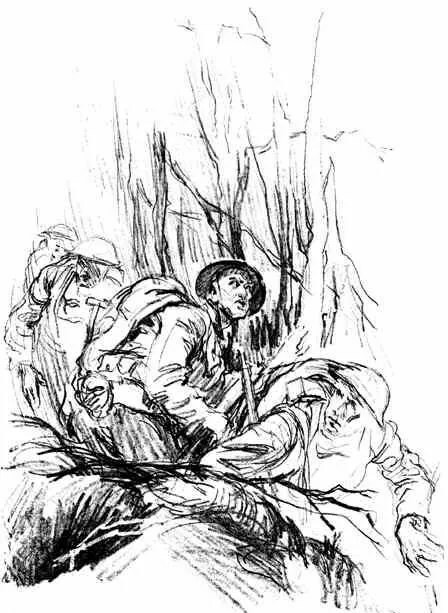 Occupants of the outposts had the usual mission of fighting to the last man with no hope of reinforcement. At all hours, troops of the outpost line were fired on by machine guns and artillery of the German 7th Army. Food and water had to be carried to the forward troops by ration details through machine gun fire under cover of darkness. 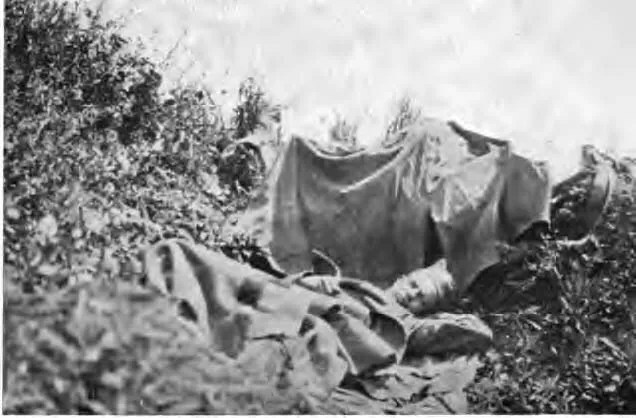 The troops suffered a high number of casualties due to heavy gas exposure. 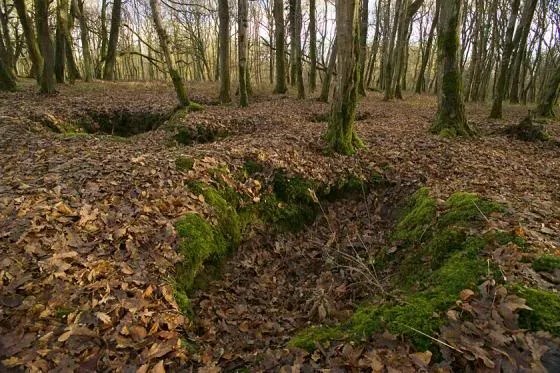 Belleau Wood itself was a forest of horror from the hard fighting earlier in June involving the Marines; equipment, unburied bodies and severed limbs were found still strewn everywhere and hanging in trees with the smell of death and decay heavy in the air. For the next two weeks the 103rd remained in place under constant fire from the enemy. From July 9-14, 10,350 high explosive shells fell on the 52nd Brigade sector killing 14 and wounding 84, with intense shelling directed on the 103rd HQ at La Voie du Chatel on July 10. In rain and fog at midnight on July 14, the entire 26th Division front was heavily shelled with a combination of high explosive and gas, including 1500 rounds falling on the 103rd Infantry positions in the woods near La Voie du Chatel. Another day-long enemy bombardment occurred across the entire Divisional sector on July 15, drenching it with mustard gas. Overnight the 103rd Infantry had 300 mustard and 100 high explosive shells fall on the area of the Regimental P.C. (Command Post) between the hours of 2100-2230 hours on July 15 and 0115-0400 hours on July 16. On July 16-17 another 7,000 rounds of high explosive fell in the Divisional sector. Read Soldier’s Mail for July, 1918 here. I am looking for list of soldiers at the Champagne-Marne, Aisne-Marne, Defensive sector. My teenage son is studying World War 1 in school and his 86 year old grandmother gave him a purple heart and another rainbow colored ribbon and gold medal his great grandfather had received for his service in the war. She told him that he had been shot in the leg, went to a hospital and had it removed without any anesthesia. He had kept the bullet on a watch chain. He went back to the front lines and was later exposed to the mustard gas which later in life caused esophageal cancer and eventual death. She also handed him his dog tag. 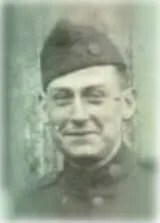 His name was Pvt Paul H. Hamill from Ligonier, PA. I would appreciate any information regarding his infantry unit and any of the men’s names that were in it. Paula, have you tried checking with the National Personnel Records Center in St. Louis? Its website doesn’t seem to be working at the moment, but give it a few days and google it. I got my mother’s uncle’s Marine Corps records from there. Paula, have you checked with the National Personnel Records Center in St. Louis? Its website is down at the moment, but it’s been working recently, so give it a few days and google it. I got my mom’s uncle’s Marine Corps records from World War I there. Donald, thanks for that information. I have not looked at that website. I am a newbie to this kind of search. I will try that in a few days and see if I can get any information. My Uncle Grover Cleveland Donley was in the Marine 5th Rgt at Champagne Marne Defensive Sector June 6 1918 that I found in his military records I had always heard he was gassed in ww1 but I never realized he was in the Marines until I looked up his records through ancestry. He passed 29 April 1946 in WVA.